Today’s speakers need to do more than impart information to their listeners. With all the competition for attention, speakers like you know it is important to connect with and engage your audiences. That may be pretty easy to do with a small group or meeting, but how about when you are speaking at a forum, an all-hands meeting, or any time your audience is large? Ask questions of your sponsor before you even accept the speaking assignment. Is it a good match for you? Do you have value to add for your listeners? Talk to some of the audience members ahead of time to find out what they know and what they want to know about your topic. Do an electronic survey of your audience if possible. Be sure your talk addresses their concerns; and let them know you heard their opinions. Ask the audience to state their expectations early in the session or talk. They can pop up or discuss at tables. Make sure to request short responses. Ask for a show of hands, or a vote. Getting the audience involved early is key, and raising their hands is usually pretty safe. I like to ask something that is easy to respond to first, and then ask them more sensitive questions. Have people vote with their feet. That means they move to a certain part of the room to both show their opinions, and sometimes to have breakout discussions. It is also a visual way for you to get feedback, and the listeners get to move. It’s a win-win as long as you can maintain control and get them back in their seats when you need them to be. Use 3×5 cards to have listeners write down their questions or opinions. You could have them give each other feedback or questions by writing on the cards. Or use different colored cards to note different opinions. Plan an “entry” activity, such as writing comments on a flip chart, making a name tent, or writing on a virtual whiteboard (during a webinar, for example.” Again, this early engagement sets the tone for what is to come. 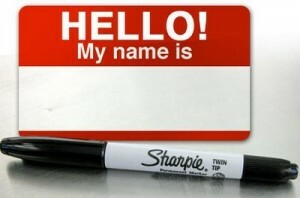 Do quick introductions. I have found that even three minutes for people to introduce themselves at tables changes the energy level in a group significantly. This seems to make it easier for people to engage and share ideas and opinions. Engage. Connect. Listen. Make your next keynote presentation stand out from the crowd.